Typical Desi snack for evening tea. 2 larger potatoes boiled & mashed. In a bowl combine potatoes & rest of ingredients & mash all with hands. Make balls, flaten & make circles (like shame kebabs). 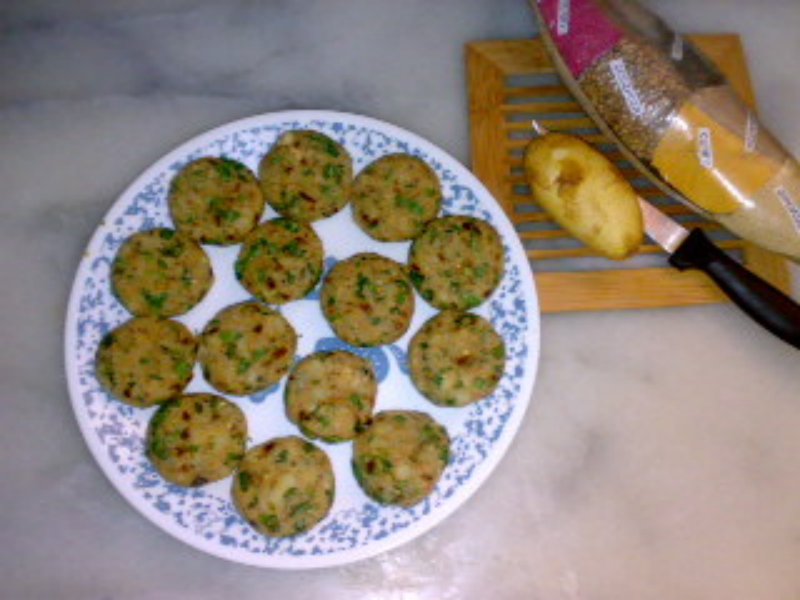 After making all the Tikkies prepare the batter . Coat each Tikki with batter & fry until both sides are golden. Serve hot with your choice of chunty.